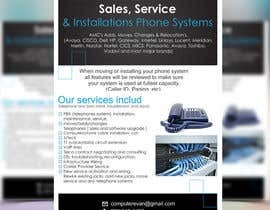 I would like you to make me a creative one page flyer that I will post on Craigslist that will Insipire people to call in and give us their business. Please use Pictures to Show what we do. I would like you to use the following contanct information in the flyer. 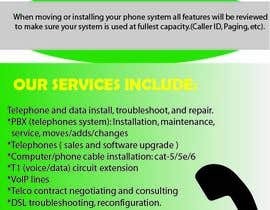 When moving or installing your phone system all features will be reviewed to make sure your system is used at fullest capacity. (Caller ID, Paging, etc). 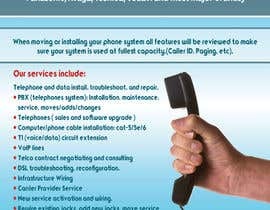 Telephone and data install, troubleshoot, and repair. 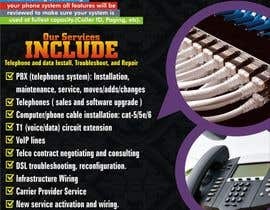 *New service activation and wiring. *Rewire existing jacks, add new jacks, move service and any telephone systems.